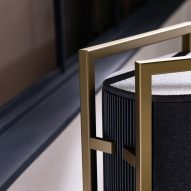 Aiming to make the television the focal point of a room, Bodo Sperlein devised a sculptural design based on art deco and Bauhaus styles. 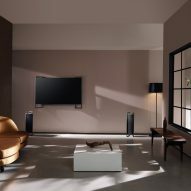 The Bild 9 television was designed by Sperlein for German brand Loewe, where he is creative director. 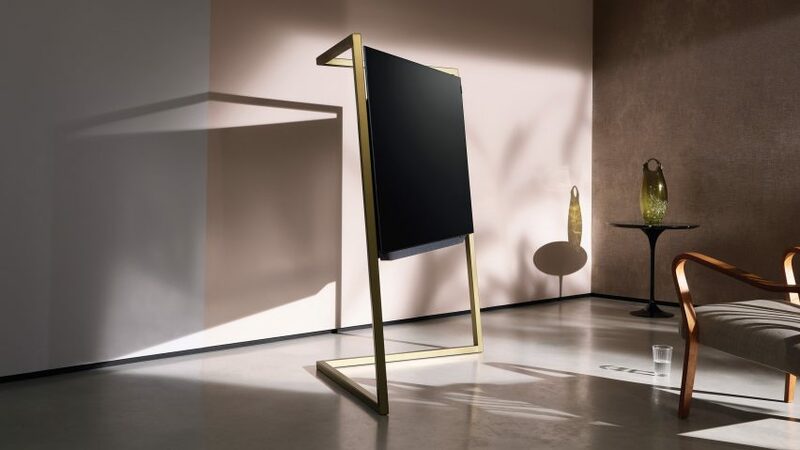 It has an OLED screen wrapped in a solid steel frame. Through his design, the London-based creative director wanted to "de-geezer the TV", in order to change the way people display electronic products in their home. 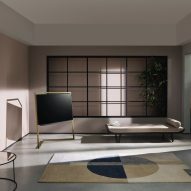 "Representing the future of television design, Loewe has worked closely with its creative director Bodo Sperlein to de-geezer the TV by unveiling a radical new aesthetic which challenges the manner in which traditional televisions are featured in the home," said Loewe. 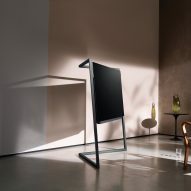 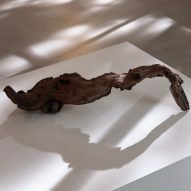 The idea behind Sperlein's design echoes that of the Bouroullec brothers, whose Samsung Serif TV was designed as a piece of statement furniture as opposed to technology. 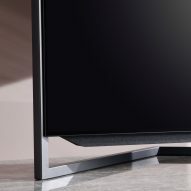 Samsung took a different tack with its most recent TV, however. 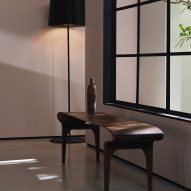 The Frame was designed by Yves Béhar to "disappear in the décor" – sitting flat against the wall and displaying artworks when not in use. 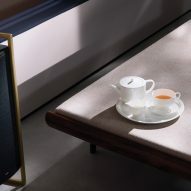 Looking to the Bauhaus and art deco design movements, Sperlein decided to place the screen – which Loewe claims to be slimmer than most smartphones – within a sculptural frame. 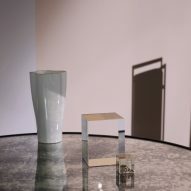 The frame, made from solid steel, is available in amber gold and graphite grey. 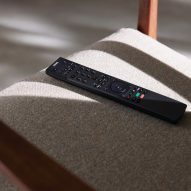 The television's wires feed through the frame into the floor, meaning lengths of loose cables aren't left on show. 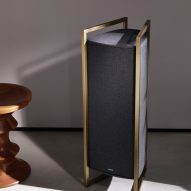 Sound is emitted from a discreet soundbar, as well as two wireless speakers that are similarly balanced within slim steel frames. 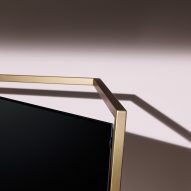 Loewe CEO Mark Hüsges described the Bild model as being the "very essence of a television", thanks to its combination of cutting edge technology and minimal aesthetic. 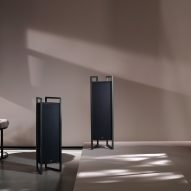 "Bodo Sperlein's design bears his personal signature and impressively conveys Loewe's new zeitgeist, combining exceptional design with technical sophistication and clearly demonstrating that home entertainment can be an aesthetic element of interior design," he said. 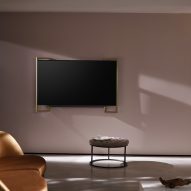 "The extremely slim display, concealing cutting-edge OLED technology, together with the streamlined and elaborately hand-forged steel frame – for me, this is the very essence of a television."